The benefits of good yogurt for health have been known for generations in some countries. 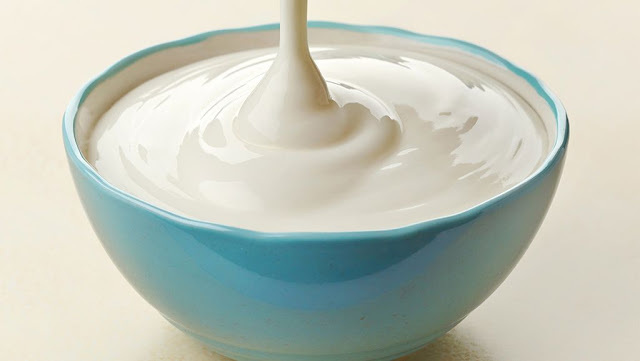 Food produced from the fermentation of milk contains many nutrients are good for the health of the digestive system, as well as to help maintain weight. The yogurt itself is classified as probiotic food. Probiotics or so-called "good bacteria", are living organisms that, if consumed in appropriate amounts will provide health benefits, especially for digestion. Yogurt contains animal protein, which is about 1.5 grams of protein per ounce of yogurt. In addition, there are also many vitamins and minerals that are known to exist in milk, such as calcium, vitamin B2, B12, phosphorus, potassium, and magnesium. There is also some yogurt added with vitamin D.
What the Benefits of Yoghurt for the Body? Benefits of yogurt for health is obtained from probiotics, vitamins, and minerals, contained in it. What are the benefits of this food? Because it contains a good probiotic for digestion, then yogurt is believed to help overcome digestive disorders. Good bacteria are already present in the human digestive system. Consuming yogurt is thought to make a positive change in the good bacteria in the gut. Consequently, problems such as constipation, diarrhea, colitis, and lactose intolerance can be overcome. However, the row of benefits of yogurt still requires more research to prove it. Another benefit of yogurt is to prevent osteoporosis. As we know, yogurt contains calcium and vitamin D. These nutrients are micronutrients that play an important role in bone growth. Research also shows that the elderly who regularly consume yogurt has better bone density and strength than those who do not. Yogurt is claimed to be able to maintain health by strengthening the immune system. This effect is obtained from the content of magnesium, selenium, and zinc in yogurt that can strengthen the immune system. Yogurt is also said to make the body more immune to infection and speed healing when sick, especially because of flu virus infection. But this is still needed further research. Benefits of yogurt, especially in maintaining weight, is able to make the stomach feel full for a longer time. Eating yogurt can delay hunger longer than other snacks. Therefore, yogurt can be one of the good food choices for you who are dieting. Seeing some of the benefits of yogurt that may be obtained and the minimal side effects caused, including yogurt in the daily menu list is worth considering. Yogurt can be consumed by anyone because it is considered safe, especially for adults who have a good health condition. However, for people who have certain health problems, such as lactose intolerance and milk allergy, should not eat yogurt.